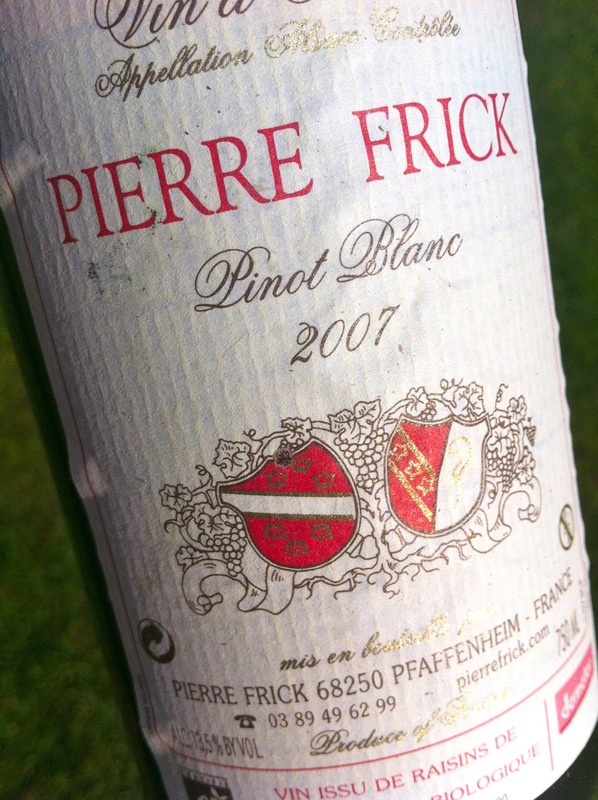 Jean-Pierre Frick was one of the first in France with that, already in the 1980s, applied biodynamic methods and to reject all forms of sugar addition (chaptalisation), even in its sparkling crémant. Today he is a pioneer in making wine without the addition of sulfur, even before bottling. But most importantly – his wines are fabulous! Rich, fresh and personal. 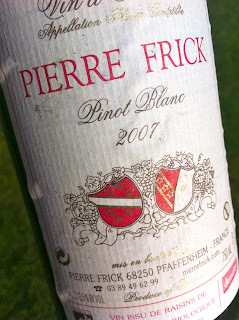 2007 Pinot Blanc Cuvée Précieuse from Pierre Frick in Pfaffenheim has a golden color. The aroma is massive, with hints of figs, nuts and butter that bear witness of maturity, but also an exotic element of Mediterranean spices. The taste has a large volume with a velvety soft mouthfeel, racy acids and some minerality to balance the residual sugar (6 grams per liter). A wine that can handle even the richest dishes! Price: € 8.80.